It’s that time of year when we doff our green attire, pour our Guinness pints, eat corned beef and cabbage and celebrate the most Irish holiday of them all. Friday, March 17, is the traditional religious feast day of St. Patrick and the day he is believed to have died in 460 A.D.
One option to celebrate St. Patrick’s Day locally is to try a “pot o’ gold” donut at The Donut Whole (1720 E Douglas). This donut is made with edible gold glitter on either a vanilla or chocolate donut with green vanilla or mint frosting. Or you can attend the 42nd annual Blarney Breakfast, a fundraiser for Rainbows United, from 6 to 9:30 a.m. at Old Chicago, 7700 E Kellogg. Benefiting a great cause, you will be treated to hearty breakfast food, coffee, bagpipers and Irish dancers. Not into potluck lunches? No worries, there are several places to have a traditional Irish meal on Friday. Jimmie’s Diner, at all three locations, is featuring their famous Shamrock Shakes made with lime sherbet along with Corned Beef and Cabbage. You can devour traditional Shepherd’s Pie at Bagatelle Bakery (6801 E. Harry.) Bricktown Brewery, at two locations (2035 Rock Road or 2142 N Tyler), is featuring a special menu including: Corned Beef Reuben’s, Irish Nachos, or Corned Beef Cabbage. The Kitchen (725 E Douglas) will offer Irish specials including Irish “Disco Fries” topped with corned beef, Guinness gravy and Irish cheddar. Once the workday is complete, celebrate the holiday with a green beer or a Guinness pint at one of these after-work hot spots. Hopping Gnome Brewing Company (1710 E Douglas) once again hosts The Route, an Irish folk group. The music begins at 7 p.m. and there’s no cover charge. Irish red beer will be on tap. Public (129 N Rock Island) will have $5 Guinness pints all day. Deano’s Grill & Tapworks (9747 E 21st Street North) will feature Irish Car Bombs, Guinness pints as well as Bud Light and Miller Lite green beer. With a forecasted temperature of 70 degrees on Friday, enjoy the holiday while sitting on a patio outdoors. The Monarch (579 W Douglas), with its ample patio seating, will be serving Reuben Sandwiches, Corned Beef and Potato Soup along with green beer all day. Sit in the balmy sun at one of the three Old Chicago patio locations while enjoying a pint. Feel like drinking something other than green beer? Gianni Bacci’s (301 N Washington) will be sampling four different Irish whiskies. The tasting starts at 7 p.m. 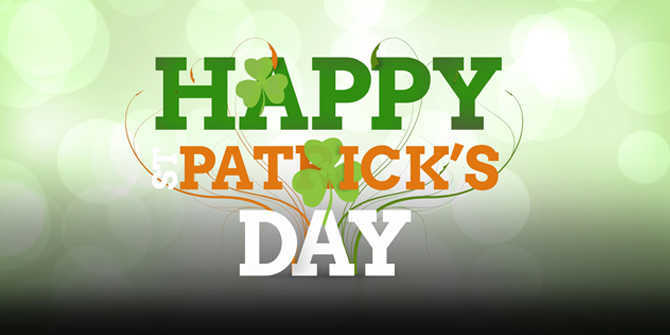 However, you choose to celebrate St. Patrick’s Day, remember to have fun, be safe and remember it’s all about making the most of every moment.